Angelica Health Benefits, Dosage, Side effects and Warnings. Angelica, Holy Ghost, garden angelica , wild parsnip, wild celery, angélique vraie , Angelika , Brustwurz, Engelwurz, dâgil' aptečnyj, hierba del Epiritu Santo..
Angelica (Angelica archangelica) is a biennial plant from the Apiaceae family that is believed to be a native of Syria, and then spread to many cool European climates. Angelica is now widely cultivated in Asia, USA, and Europe. The name Archangelica is believed to come from the Greek word "arkhangelos", the name of Angel Gabriel who according to myth revealed its use in medicine. Angelica is widely used as a flavoring or scent. Angelica is extensively used in folkloric herbal medicine to stimulate gastric secretion, treat skin disorders, flatulence, and rheumatism. Angelica also has value in perfumery where dried leaves are used as potpourri mix and as hot bath scent. Angelica is a tall aromatic plant that grows up to 6 feet in height. Angelica has smooth, hollow, dark purple stems of about 1 to 2 inches in diameter. 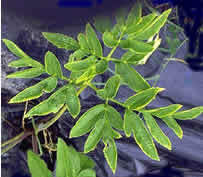 The leaves are 3-sectional compound with dark green color. Angelica roots are long, fleshy and spindle-shaped. Angelica flowers that blossom in July are small and numerous, the colors vary from white to yellowish or greenish. Angelica flowers form large, globular umbels, which bear pale yellow, oblong fruits. Angelica seeds are pale yellow, membranous-edged. It is oblong shape oblong, flattened at one side and curved on the other. Angelica contains variety of chemicals including angelic acid, angelicin, safrole, scopeletin, linleic acid, and valeric acid. These chemical constituents make the angelica useful in the treatment of variety of illness, although limited scientific support is evident. Anti-fungal and antibacterial activity. 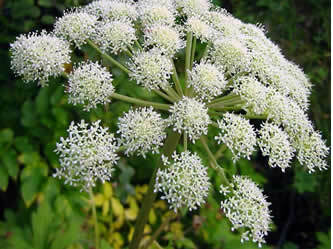 A powder made from angelica dried root is used for athlete’s foot, as well as an insecticide and pesticide. Anti-inflammatory property. Angelica poultice made of crushed leaves is used for rheumatism, arthritis, gout, swelling and broken bones. Mouth problems. Angelica infusion is used as gargle for sore throats and mouths sores. Urinary tract infections. 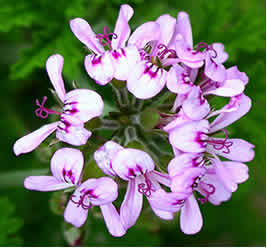 Angelica infusion is used to improve symptoms of disease of urinary organs. Improves recovery. 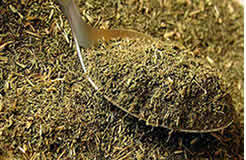 Angelica tea is used as tonic, used to restore vigor and vitality after sickness. Relaxant. Angelica can be used in baths and to make potpourri and for relaxation. Appetizer. Angelica tea is also used to improve appetite by stimulating stomach activity. Improves blood circulation. Angelica improves blood circulation by strengthening the heart, which is beneficial for fibromyalgia, chilblains, cold feet and hands. Menstrual problems. Angelica is also used in regulating menstrual cycle and controlling menstrual discharge. Acne control. Angelica decoction is used as face wash to control and prevent acne breakout. Anti-anxiety activity of successive extracts of Angelica archangelica Linn. on the elevated T-maze and forced swimming tests in rats. This study evaluated the anxiolytic effect of successive extracts of A. archangelica linn. (SAE) on rats tested in the elevated T-maze test (an animal model of generalized anxiety) at doses that exhibit antidepressant-like activity in humans. In the forced swimming test, imipramine and SAE showed antidepressant- and anxiolytic-like effects as reflected by increased climbing time, swimming time and decreased immobility time on the first, third and seventh day. These results suggest the anti-anxiety activity of various extracts of A. archangelica and strongly justify its use in traditional Indian medicine for the treatment of anxiety. Source: J Tradit Chin Med. 2012 Sep;32(3):423-9. Antitumour activity of Angelica archangelica leaf extract. The purpose of this study was to examine the effect of a leaf extract from A. archangelica on the growth of Crl mouse breast cancer cells in vitro and in vivo. Results showed that the leaf extract was mildly antiproliferative on the Crl cells with an EC50 of 87.6 microg/ml The antitumour activity of the extract was expressed in the mice by marked reduction in tumour growth. In the experimental animals, 9 out of 11 mice developed no or very small tumours, whereas control animals, not receiving the extract, developed significantly larger tumours (p<0.01), as estimated by Mann-Whitney U-test. The antitumour activity of the leaf extract could not be explained by the antiproliferative activity of furanocoumarins present in the extract. Source: In Vivo. 2005 Jan-Feb;19(1):191-4. Hepatoprotective effect of Angelica archangelica in chronically ethanol-treated mice. This study investigated the effects of total Angelica archangelica against chronic ethanol-induced hepatotoxicity.. A single dose of ethanol (70%, 0.1 ml, p.o.) was used to induce hepatotoxicity in mice which resulted in a significant elevation of the activities of serum GOT and GPT. Treatment of mice with Angelica archangelica (10, 25, and 50 mg/kg p.o.) after 2 weeks ameliorated the ethanol-induced hepatotoxicity effects. Hepatotoxicity was evidenced by a significant increase in hepatic lipid peroxidation manifested as the presence of malondialdehyde. Angelica archangelica is cytoprotective agent effective against chronic ethanol-induced hepatotoxicity, possibly through inhibition of the production of oxygen free radicals that cause lipid peroxidation, and hence indirectly protects the liver from oxidative stress. Source: Pharmacology. 2003 Jun;68(2):70-3. Evaluation of Antiseizure Activity of Essential Oil from Roots of Angelica archangelica Linn. in Mice. In the present study, the effect of essential oil of the root of Angelica archangelica Linn. was evaluated against electrically and chemically induced seizures. The effect of essential oil of the root of Angelica archangelica on seizures was compared with standard anticonvulsant agents, phenytoin and diazepam. The essential oil of the root of Angelica archangelica suppressed duration of tonic convulsions and showed recovery in maximal electroshock induced seizures while it delayed time of onset of clonic convulsions and showed mortality protection in pentylenetetrazol induced seizures. The study indicated that the essential oil exhibited antiseizure effect. The antiseizure effect may be attributed to the presence of terpenes in the essential oil. Source: Indian J Pharm Sci. 2010 May;72(3):371-5. Coumarins from Angelica archangelica Linn. and their effects on anxiety-like behavior. This study evaluated the anxiolytic potential of non polar coumarins isolated from Angelica. archangelica Linn. The extract of petroleum ether produced a yellow colored precipitate (YP) which was evaluated for anxiolytic like effect using EPM test and was found significant (**P<0.01) in doses of 5 and 10 mg/kg, po. Non polar coumarins were isolated namely imperatorin (IM) and isoimperatorin (IIM). YP, IM, IIM were tested for anxiolytic like effects in a dose of 5mg/kg, po along with DZ (1mg/kg, po) using EPM, Light & dark arena and hole board models in rats. The mixture of coumarins isolated from Angelica archangelica and its constituents imperatorin and isoimperatorin have the potential to reduce anxiety but it is the mixture which have more significant activity as compared to its individual components. Source: Prog Neuropsychopharmacol Biol Psychiatry. 2013 Jan 10;40:180-6. Where can I get or buy Angelica? Angelica plant is widely cultivated and can be sourced through local horticulturist. Angelica leaves, flowers and roots can be harvested from fields. Angelica tinctures, powder and dried roots are also available in some health stores. Angelica is prepared as tea. Angelica is also commercially prepared in powder, tincture and capsules taken as supplements. They are available in most fitness and health stores. Angelica is also available online via Amazon as listed: Organic Angelica Root Extract for example, there are other brands, be sure to select one from a reputable manufacturer and do follow the suggested dosage. 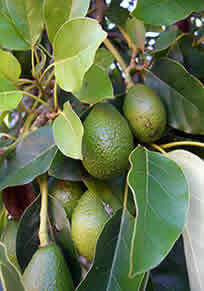 For medicinal application, the stems, leaves, seeds and roots are used. 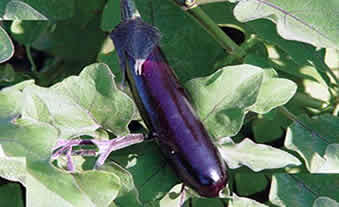 The stems are used for its aromatic flavors and are used in food preparations. 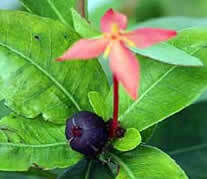 The leaves, stems and flowers are crushed and are used as poultice, and in hot baths. 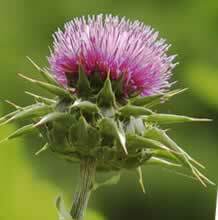 The roots are mostly used in preparing tinctures and infusions. The roots are dried and powdered for medical application. Possibly safe. Angelica is possibly safe for use for most adults. Just like any other herbal medicines, abuse of use may cause adverse reactions and poisoning, moderation in use is recommended. Allergy. Angelica have been reported to cause allergic reaction to sensitive people. Avoid using angelica root concurrently with anticoagulant drugs such as warfarin. Pregnancy and Breast feeding. There is no sufficient studies done to investigate the adverse or side effects of Angelica consumption during pregnancy and breast feeding. It is recommended to avoid its use.